I HAVE REPORTED YOU TO THE 419 SCAM LETTERS ORG. IF YOU KNOW WHAT IS GOOD FOR YOU AND DO NOT WANT TO LAND YOURSELF IN JAIL YOU WILL NOT CALL OR CONTACT US AGAIN. How are you today? 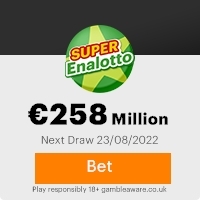 I must congratulate you on your lucky winnings of 2,000,000.00 GBP.This lottery is a conjoined effort of Microsoft international and the United Nations under the auspices of STRIKER MILLION LOTTERY PROMOTIONS.This lottery is aimed at promoting world peace and the use of Internet across the world. Participants were drawn randomly from the Internet upon which a raffle draw was conducted and lucky winners emerged fortuitously. The payment process is simple and easy to complete. To facilitate the swift procurement of your winning, you are to fill out the required details and return it within 24-72hrs to enable us open a payment file on your behalf. You are not required to make any payment to any staff of the lottery company for the clearance of your approval document for the release of your money to you. Please do note that The lottery company, The British Lottery Board and The British Government entered an agreement on foreign winner of any Kind, regarding the prize is associate with Money, that the beneficiary must have to come to London to clear and sign the Hard copy of the British Tax clearance papers from the Inland revenue and Security Home.This is a policy that must be honoured. We shall appoint an attorney from our company attorneys to stand for you to attest and legally clear all legitimate documents for the release of your money to you, this is in case you can not make it over, but we encourage all winners to come. Do have a nice day and congratulations once again, you are free to keep me informed on any thing not clear to your understanding. This Email with the Subject "RE: verification Proces" was received in one of Scamdex's honeypot email accounts on Mon, 19 Feb 2007 13:29:04 -0800 and has been classified as a Generic Scam Email. The sender shows as "ANTHONY ARNOLD" <ruby_ring2006@hotmail.com>, although that address was probably spoofed. We recommend that you do not attempt to contact any persons or organizations referenced in this email, as you may expose yourself to scammers and, at the very least, you will be added to their email address lists for spam purposes.